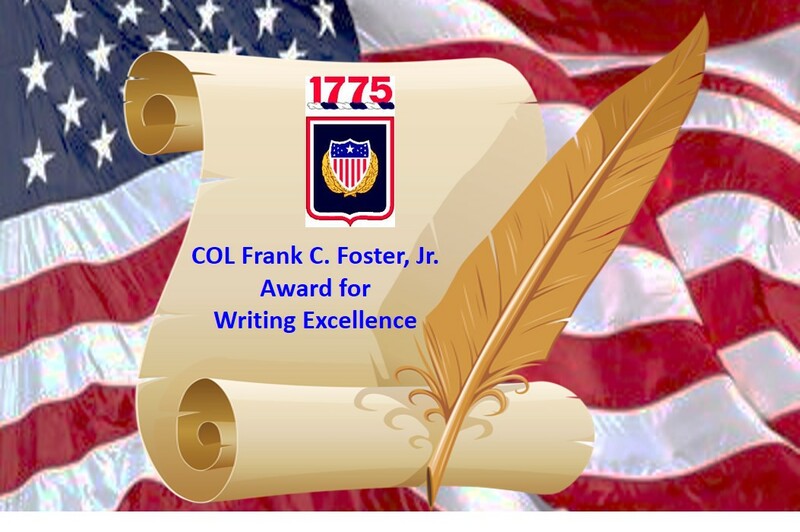 The purpose of the COL Frank C. Foster, Jr. Award for Writing Excellence is to stimulate thinking and writing on issues of concern in relation to Human Resources and its impact on the Army or Department of Defense. Any officer enrolled in the Adjutant General Captains Career Course or Warrant Officer Advanced Course. COL Foster believed that success as an AG Officer or Warrant Officer started with one’s ability to write. The Adjutant General School at Fort Jackson, South Carolina establishes the standard and award criteria for selecting AG CPTs and senior Warrant Officers for this award. This award is named in honor of COL Frank C. Foster, Jr., U.S. Army Retired, who was the Commandant, Adjutant General School from 1987-1991. During his tenure as Commandant, the Army adopted The Regimental System and COL Foster is recognized as the founder of both the Adjutant General’s Corps Regiment and the Adjutant General’s Corps Regimental Association (AGCRA). He also designed the current “Defend and Serve” crest worn today by AG Soldiers and wrote the words to The Adjutant General’s Corps March. Once the Adjutant General School has selected either AG CPTs and / or senior Warrant Officers winners for this award, they will notify the AGCRA VP for Awards in order for award certificates and medal sets to be prepared for presentation. The medal and award certificate are presented at Adjutant General Captains Career Course or Warrant Officer Advanced Course graduation ceremonies.